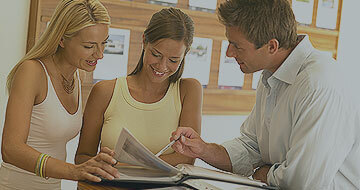 “As a first time home buyer I was nervous to put it mildly. Certainly the biggest purchase of my life had my mind in a tail spin. My main concern was finding an agent whom I could trust and guide me in the right direction through the process. I truly feel like I hit the jackpot by hiring Zan Sacker and his team to help me purchase my first home. To start, Zan was extremely professional, knowledgeable, organized and,most importantly, honest. Never, at any point, did I feel pressured into making a decision that I wasn’t comfortable with. Every step of my home buying purchase was carefully and clearly explained and Zan never hesitated to advise me of a bad deal…..or even just an ok deal. Anything less than a great deal simply wasn’t acceptable. Zan literally took care of everything for me and made this entire process seamless for all parties involved.